Harding University Provost Larry Long announced Nov. 14 that Dr. Clifton L. Ganus III, professor of music, would become chair of the music department, replacing Dr. Kelly Neill, who is stepping down to return to classroom teaching. The appointment is effective Jan. 1, 2014. After graduating from Harding in 1966 with a Bachelor of Arts, Ganus went on to attend University of North Texas to earn a Master of Music Education degree and University of Colorado Boulder to receive his Doctor of Musical Arts degree. 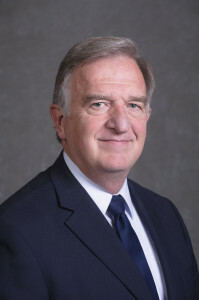 Ganus has been employed at the University since 1968. In addition to his teaching responsibilities, he is the director of the University’s Chorus and Classical Lyceum Series. Born in New Orleans, he is the son of Chancellor Emeritus and Mrs. Clifton L. Ganus Jr.
Neill was named department chair in June 2011. He received his doctoral training at The University of Missouri-Kansas City Conservatory. In addition to teaching and administrative assignments, he directs the University’s Chamber Singers and Concert Choir.